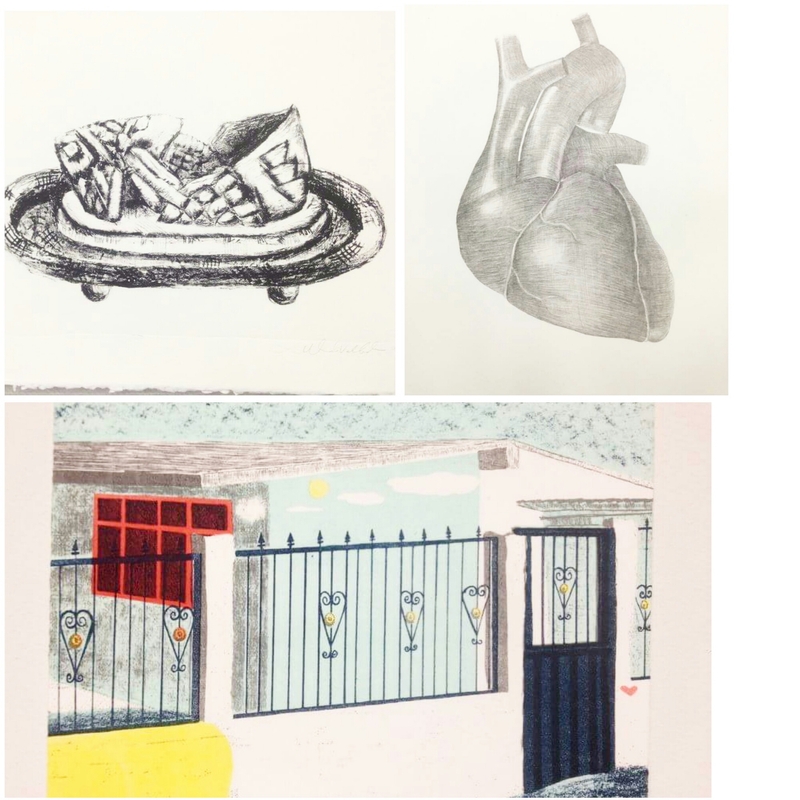 3artworksadayfor5 continued….Day 2: I figured I’d show some of my intaglio prints. A process of drawing on a copper or zinc metal plate matrix. 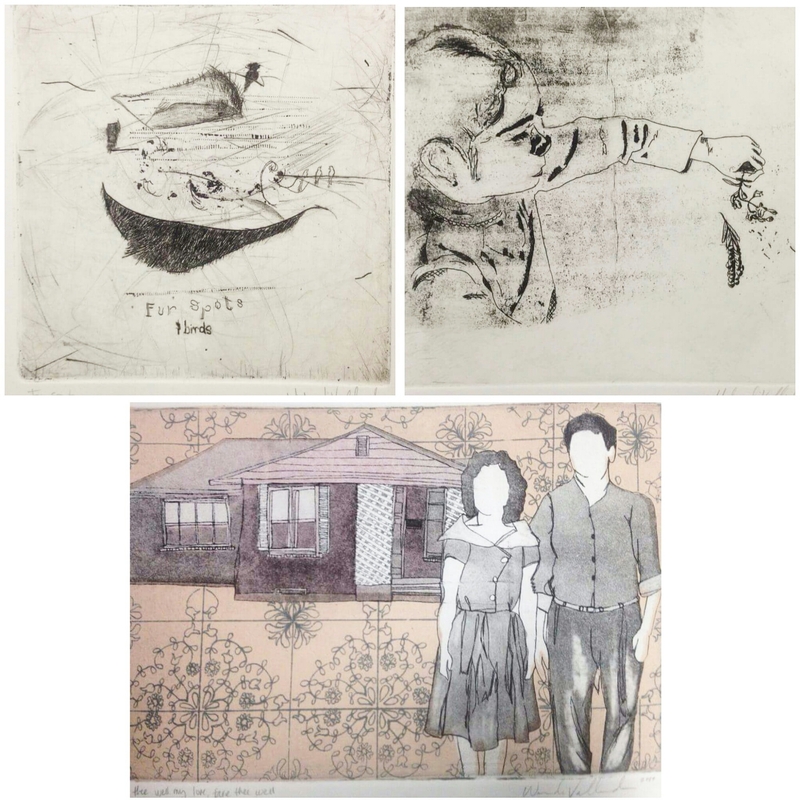 The top art works are my first prints as a printmaker and art student. Not having much skill in the process I put it down for a long while. I picked it up again this past year and found a new passion for it. I’ve noticed content is still similar in how my work is focused on individual narratives. I think there will definitely be more intaglio to come in my future. 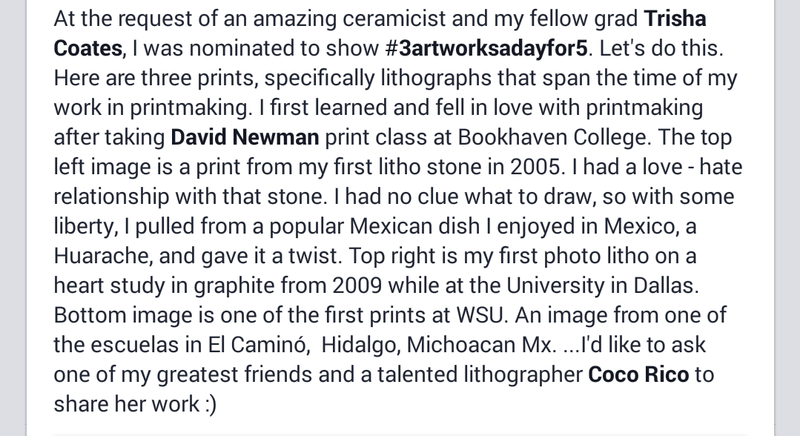 For this challenge I nominate my dear friend Jeremy Catenacci to show #3artworksadayfor5days. Recently submitted this edition in PRINT AUSTIN 2015 handkerchief print exchange. Recent woodblock drawing for a multiple color woodcut for a handkerchief exchange. I call her “Hey good-lookin” because she was. 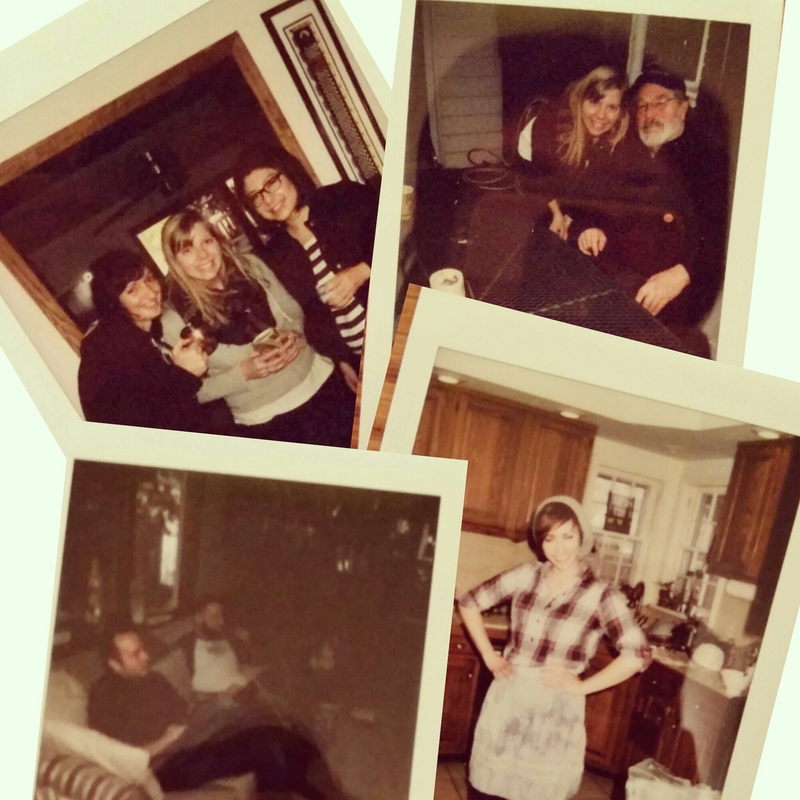 Though I have missed my family backyard get-togethers and my breakfast dinners with my sweet friends back home, I can’t complain from the joy of knowing these spontaneous souls who have made my stay in Kansas a happy one. Tonight we eat and drink till we are merry and stomachs full of sushi. Bring on the semester of late nights art making, binders of student grading and constant shop duties. 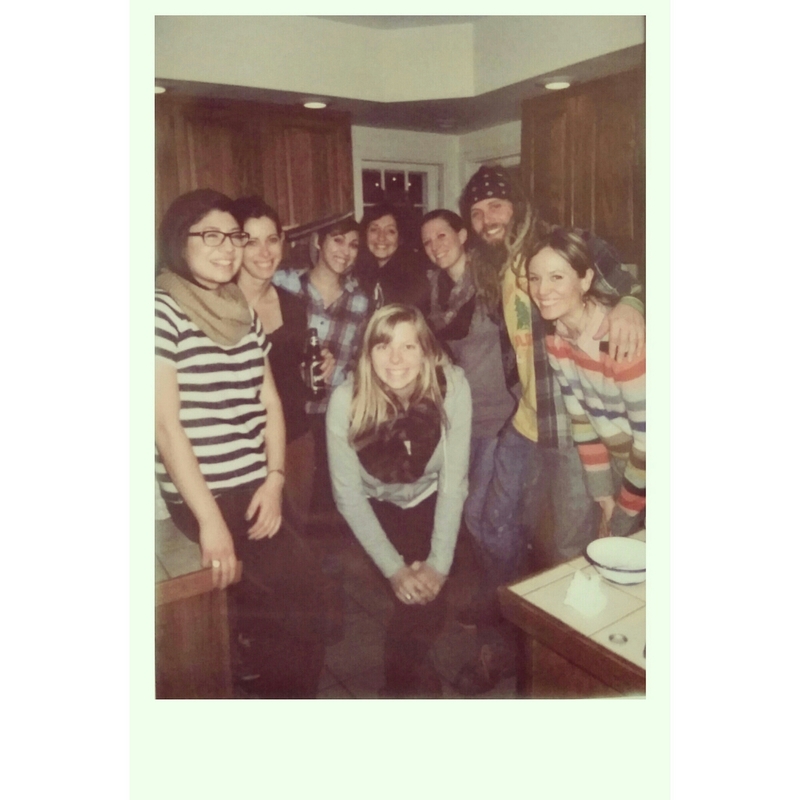 One last break…at least for now #sushiparties made by the sushi queen Laurel in her flannel and apron.